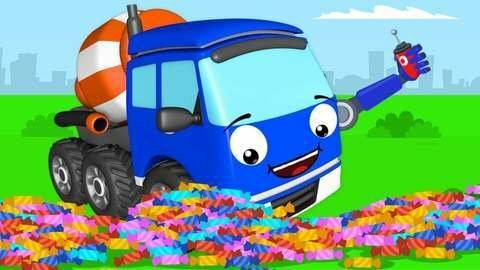 A new 2D car cartoon has already appeared on our site! See how Cement Mixer Truck plays with the teleportation console, moving to different places. A curious car will see the Monster Truck, bathing with ducks, the Police and a lot of candy. With our selection of cars cartoons for kids, you definitely will not get bored - all the series are waiting for you online for free!